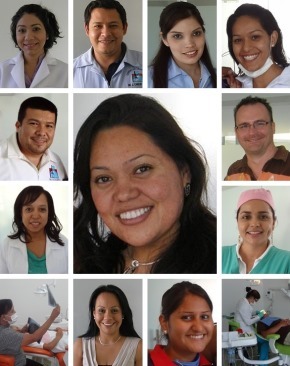 Best known for: Dentist serving Nuevo Vallarta & Bucerias - Canadian Owned - English Spoken FLUENTLY. Crowns, Bridges, Implants, Root Canals, Cleaning and Whitening, Dentures, and complete restorations. team of professionals for every possible job. From the basic services and family dentistry, to complex restorations, surgeries, and implants. 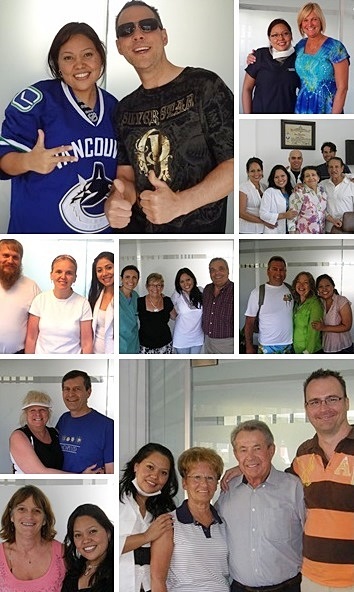 Specialists in every category of dentistry and accepted by most Canadian and US Insurance companies. 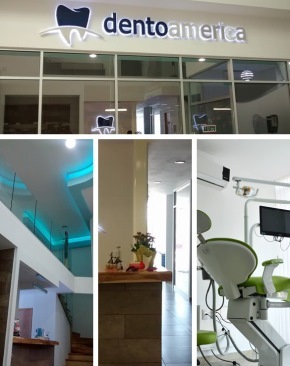 To provide quality dental care to people visiting Puerto Vallarta to see a dentist using a team approach, and a fair price. With this in mind, their goal is to be able to keep prices where local people can afford, while offering quality difficult to find in the area. Dentoamerica continually is advancing on their technology to improve everything from the imaging equipment and sterilization to the facilities of the clinic. Dentoamerica imports equipment and materials from the USA and Canada frequently to make sure they have the same products and services available that you expect to see in a modern dental clinic. These are just a couple examples of their work. DentoAmerica would be please to show you many more at your request. 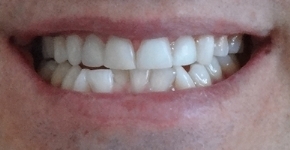 After a cleaning, whitening, and a few crowns the smile for this patient drastically improved. It is a difficult bite type to work with because the bite is border on border, however with precision work from the laboratory there are often solutions to even tricky situations like these. In cases where esthetics are important, DentoAmerica has options for pure porcelain crowns, and zirconia crowns. 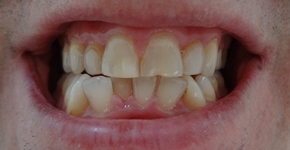 In this example, three porcelain crowns were requested. One central tooth had some color match issues with a crown made in Canada so they bonded one central tooth to color match it to the rest. get the results you want in most cases in only one office visit! Recently moved the entire clinic to the new Plaza Lago Real commonly referred to as Walmart Nuevo Vallarta. For more information, please contact DentoAmerica using the form below and we would be pleased to meet you, and discuss anything at all, "sin compromiso!" I would like to schedule appointment to get crowns done.